apologetic method | J.W. Wartick -"Always Have a Reason"
Nancy Pearcey’s Total Truth is dedicated to bringing Christianity into every realm of knowledge rather than relegating it to the outskirts. That is, Christianity is to be seen as “total truth,” applicable to every aspect of reality. It’s a lengthy book so any review of this size is going to leave things out by necessity. I’ll first provide a brief overview. Then, I’ll emphasize some areas I found helpful and areas I questioned. The first section of the book is a call for Christians to integrate their worldview into every aspect of reality rather than bifurcating it and only living in different spheres of reality at different times. Next, Pearcey frames the debate over worldviews in terms of a battle for beginnings as she argues Darwinism fails and Intelligent Design is more plausible. Integrated into this section is the notion that Darwinism is a way of looking at reality and a worldview-level belief which is being used to displace Christianity. The third part traces a brief history of Christianity in America with an eye towards showing that Americans have tended to privatize their religion and use the fact/value split to relegate religion to the area of values. The last chapter addresses how we might live out the Christian worldview in every aspect of our lives. There is a series of appendices which address topics like Islam, materialism, apologetic method, and politics. Finally, a study guide is included in the edition I was provided, which gives summaries, additional stories, and some questions for each chapter. Pearcey’s emphasis on integrating Christianity into all aspects of our lives is commendable. She accurately describes the plight of many when she speaks of how Christians approach their lives as though church is religion and the rest is something else. Instead, she advocates an integration of the Christian worldview into every aspect of life. The historical background Pearcey provides into various areas of thought is enlightening and encourages further study into several important areas, including the first and second Awakening. The stories Pearcey shares throughout the book are great at grabbing and holding attention. They make for good illustrations of many of her points, and also make the book more readable. The outline of the Fact/Value split and the damage it has done to intellectual and faithful life was much appreciated. Pearcey demonstrated that this alleged split is generally a construct which is used by various worldview systems to try to relegate certain beliefs into the “value” sphere and outside of factual claims. Her incisive critique of this method was both on-point and helpful. The appendices covered interesting topics, and the one on apologetic method, in particular, was worth reading and considering. At many points throughout the book there is a somewhat conspiratorial tone. 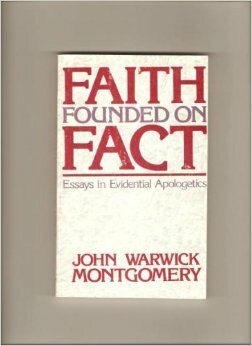 That is, it seems to be alleged that somehow all the skeptics (particularly Darwinists) banded together in order to try to overthrow Christianity and American values. It is continually alleged that Darwin was explicitly trying to overthrow religion or at least the possibility of taking religion seriously in the “fact” domain. Many sources were cited in order to justify these claims, but I’m still not convinced that there is some kind of grand conspiracy, nor am I convinced that this is the best way to approach claims about knowledge. I was surprised by this comment. 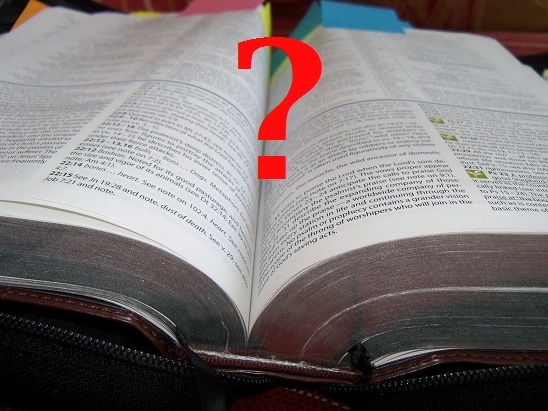 Are we to assume that Christians should ignore statistical analysis? Could not such statistical regularities be part of God’s providential plan (something, in fact, argued by Poythress)? It seems that Pearcey is discounting the possibility of “secular” methods working. But God has ordered the universe in such a way that statistical regularities will occur, and to suggest that we as Christians must reject such regularities and do something else so that we can “persuade a watching world that God is at work” may lead to disaster. I’m not saying we should not trust in God to provide, but when God has revealed a way that things work to us, that’s just as providential as a miraculous windfall of donations [to go off the fundraising example]. Perhaps by following trusted methods, we can prove to a watching world that Christians don’t reject facts or reality. I found this, and many statements like it, to be utterly shocking. It seems to be patently absurd to say that “experience” and “feelings” are “squarely… the domain of women.” Really? According to this view, men somehow devoid of all feeling or reliance upon experience and instead manly men spend the day making all sorts of cognitive claims (devoid of experience, mind you, so presumably about Platonic forms or somesuch). I find this to be clearly false. Men have feelings, and that doesn’t make them womanly. Men also have experience (!?). Unfortunately, claims like this persist throughout the book. Perhaps most importantly, the book doesn’t seem to adequately address the main topic of the book: the need to integrate Christianity into every aspect of life. The final chapter does ask Christians to be godly in their business dealings, to avoid lying and cheating and the like. Moreover, Christians are called to trust in God in their endeavors and view their lives as providentially governed by God. However, I was left wanting much more. After having around 25% of the total length of the book (the beginning chapters, 120ish pages in the print version) dedicated to how Christians seem to not know how to integrate their worldview into their lives, it seemed like having so little space dedicated (about 30 pages in the print version) to how this might actually work in practice was a letdown. It seems like the even the direction offered was pretty straightforward, as Christians at least should know that they are to avoid lying, cheating, etc. in their day-to-day lives and careers. 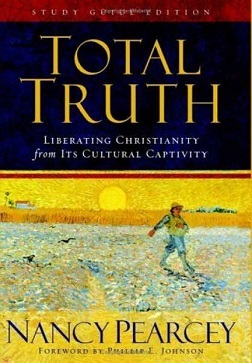 Nancy Pearcey, Total Truth (Wheaton, IL: Crossway, 2008). *All references are to kindle locations.